Almeria, with its fascinating historical monuments and beautiful landscape, is a destination that has grown in popularity during the last few years. It offers plenty of sunshine hours and some of the best beaches in Andalusia, so you can be sure to enjoy your stay here. Almeria was founded in 955 AD by the Caliph of Cordoba. The Alcazaba of Almeria was constructed shortly afterwards, and it is the second largest Muslim fortress in Andalusia after the Alhambra. During the following years the Alcazaba was the seat of the local government, and it contained houses, squares and a mosque. The imposing walls, towers and gardens still impress its visitors, so much so that it was used in filming movies like Conan the Barbarian, Indiana Jones and the Last Crusade and Never Say Never Again.Another important sight in Almeria is its cathedral, built 1524 in the Renaissance style with fortress-like appearance to protect it from pirates. 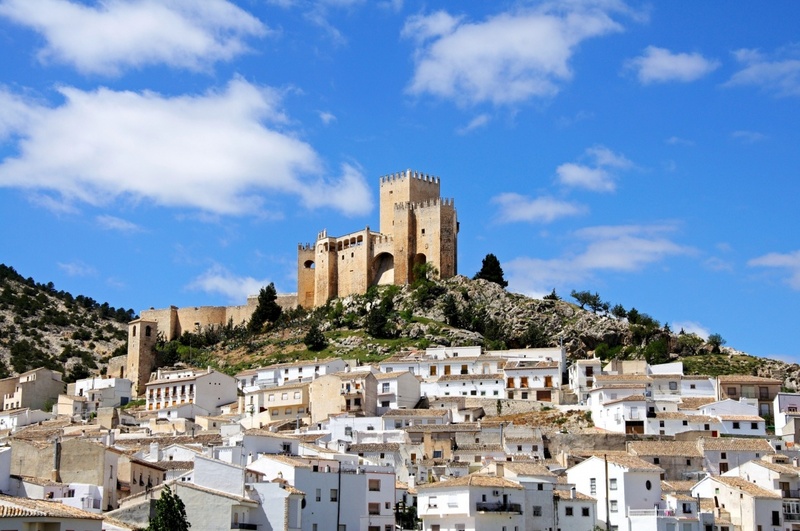 The cathedral lies at the centre of Almeria’s old town, which has peaceful winding streets, plenty of restaurants and many old buildings worth seeing. The best place to go for a meal is the main square, the Puerta de Purchena, and the area around the cathedral. Some of the best seafood restaurants can be found in the old fishing quarter, Barrio de los Pescadores. Several bars and clubs will keep you entertained throughout the night, especially in the area around the main square. Almeria is perhaps most famous for the wonderful beaches in the province. In the eastern part you will find small and solitary beaches near sleepy little villages. The natural park Cabo de Gata is especially popular and offers plenty of private coves between stones and rocky outcroppings. The area to the west of the natural park is more developed, and beaches have all amenities and plenty of fun for the whole family. North of the city lies the Tabernas Desert, the only desert in continental Europe. This was the location of many spaghetti westerns, and several of the sets are still standing to give you a real wild-west experience. Find information about selected Hotels, apartments and rooms in Almeria to choose the perfect place for your accommodation.